Bass Guitar, Violin, Background Singer, Other, Mandolin, Fiddle, Electronic Music. I've been playing and writing for 30 years. Have various recordings, nothing that has been released on label. (Recorded two full length Christian Rock albums in late 80's and EP in early 90's; and full length Modern Rock album in early 2000.) Have written and recorded songs with Eric Heatherly (Country Artist). Currently working on projects for iTunes: indie-alternative-rock mix. Recording in house with Ableton. Would like to play occasional live shows at clubs and churches. My Day Job: I have been a Youth/Children's/Family Minister/Worship Leader for 30 years. Currently I'm the Director of Modern Worship and Family Ministry Stallings United Methodist Church. 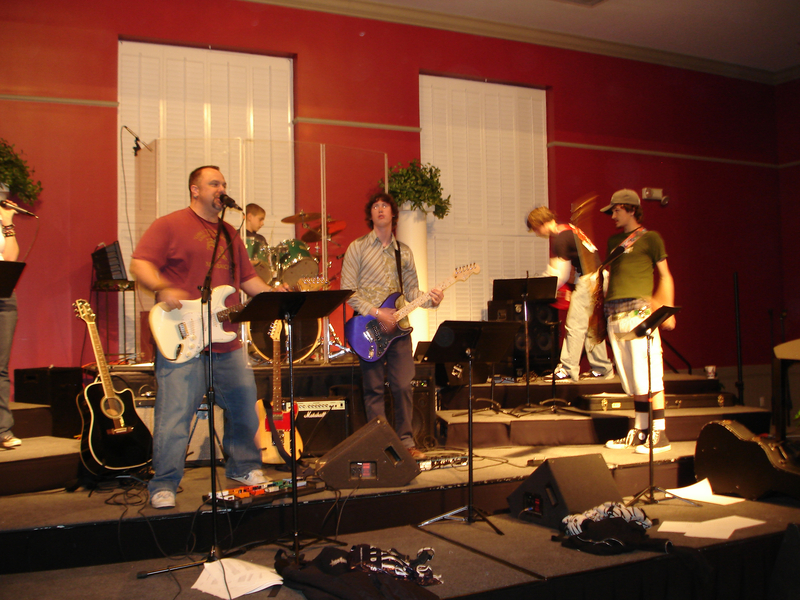 Would love to find some kindred spirits for my original stuff; and Worship Band members for Bethlehem UMC Worship Team. Pretty eclectic list. Currently listening to and writing indie alternative and rock.